Application Blocks can be added to any Home tab, online document, or wiki page as a method to add dynamic content to your iMeet® Central pages. 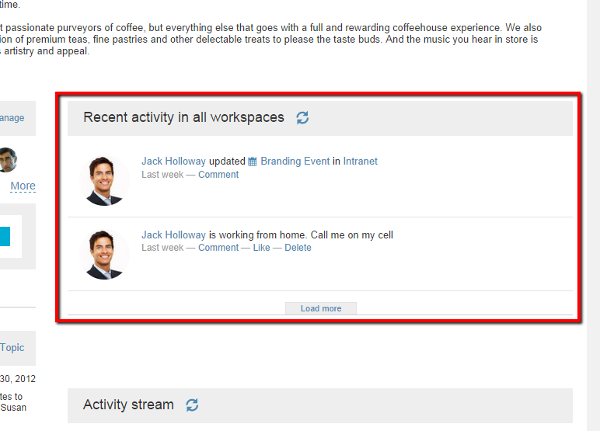 For example, you can add a Recent Activity Application Block to the homepage of your "Intranet" workspace, which will pull an activity stream for all workspaces into a single area. To add an Application Block to a page, edit or customize the page to open the WYSIWYG editor, then click the Insert More option. Choose the Application Block type. 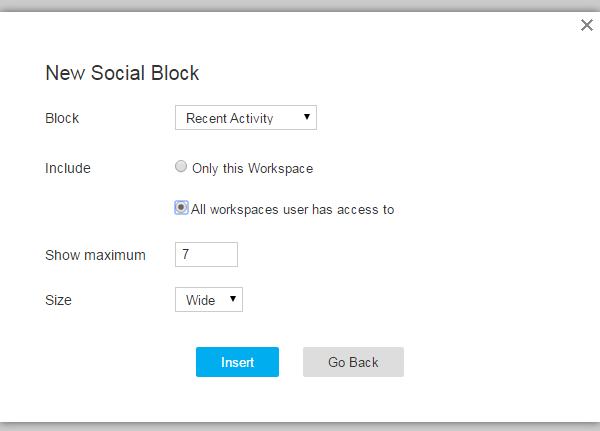 For example, to insert a Recent Activity Application Block choose Social. 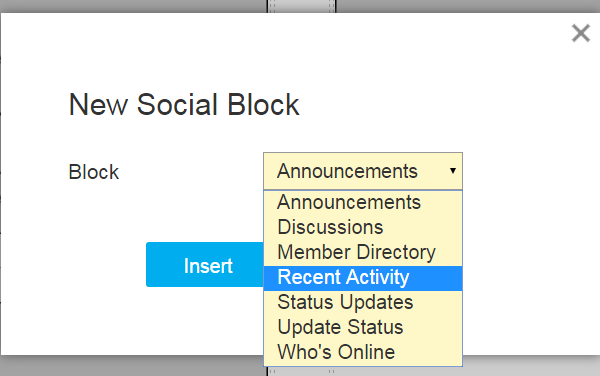 From the list of Social Application Blocks, choose a type such as Recent Activity. Most Application Blocks can be configured to display specific type of content only. 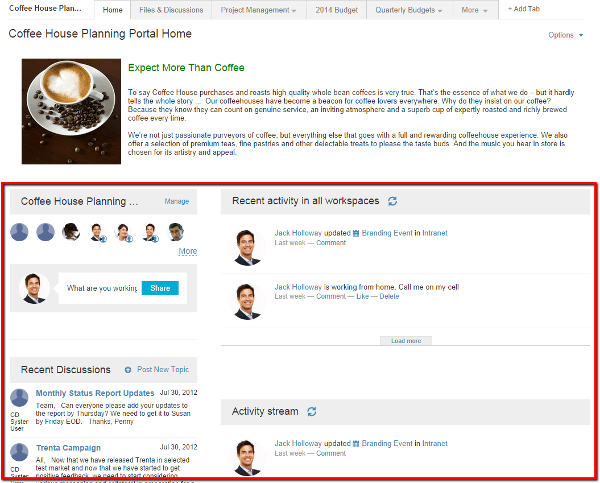 For example, this Recent Activity Block has been configured to display activity across all workspaces, show a maximum of 7 activity records, and all types of activity. Click Insert when you're ready to add to the page. 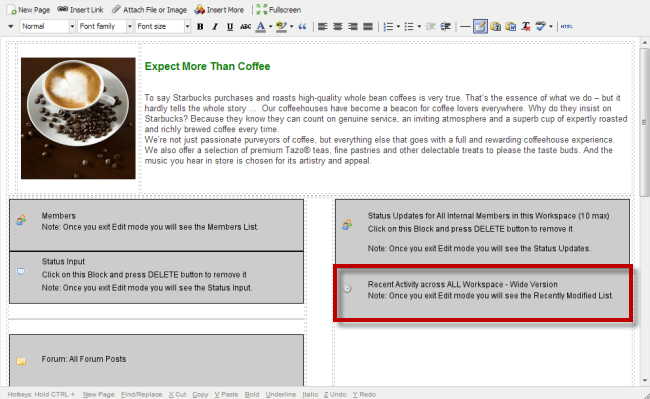 You should now see a placeholder for the the Application Block in the WYSIWYG editor. Click Save to save your changes to the page. 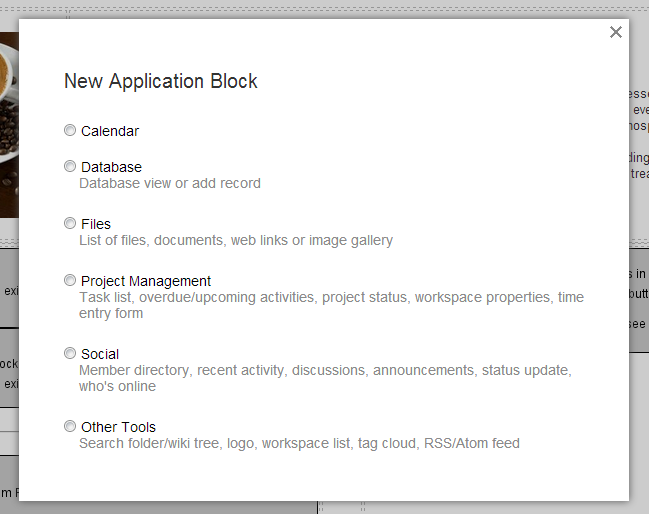 The Application Block will now be live and display the specified information on the page. It can be rearranged at anytime by editing or customizing the page. Note: To change the settings of an Application Block, you'll need to delete the current Application Block and re-create it with the appropriate setting changes.